The basic idea is this: the American political project, which was once rooted in Christian moral imagination, has slowly moved on, and has started to turn on its Christian foundations. Many are reading the socio-political tea-leaves and beginning to think that American political culture is about to turn hostile to traditional Christianity, especially targeting those who uphold a more traditional view of Christianity. 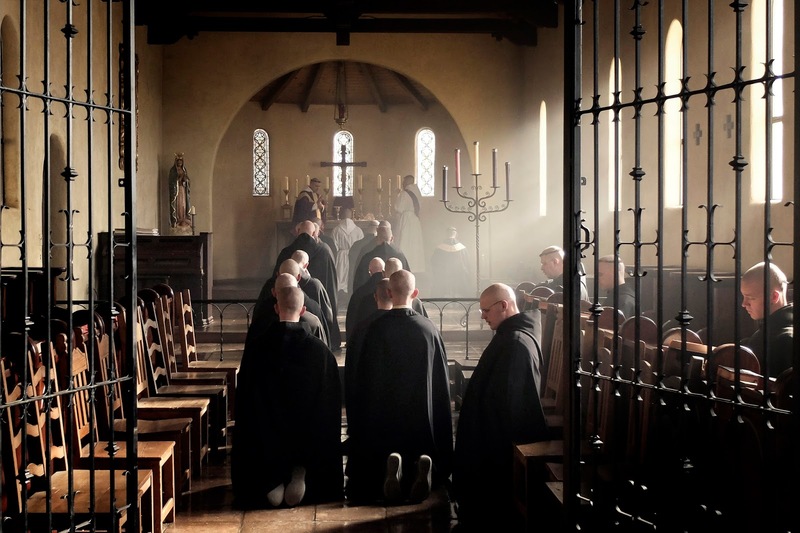 Christians should seek on some level to disassociate with public life and, instead, focus on community-building, seeking to create strong sub-communities within American life with the eventual goal of having a bigger role in some new, future America—something like the Benedictine monks preserving civilization through the Dark Ages. I’d like to clarify that I’m not talking here about the prediction by Pope Benedict that Christianity will shrink in the near future and will be something like the Early Christians in the Roman Empire. This is because I don’t consider it an option. If his prophecy proves true, it still leaves open how we are to deal with this situation and how we are to related to the outside world. I’d also like to leave aside questions of how much Dreher’s option really follows the original Benedict. There’s something very attractive in this picture, despite the vision of a hostile culture. Many want to preserve a virtuous culture, working together with the like-minded to build something truly substantial. Dietrich von Hildebrand offers us an example here, and some direction. His home—a civilization that was built on Christian principles—became extremely hostile to Christianity and brutally evil under the Nazis; Hildebrand was one of the first to recognize this. He saw the evil of the Nazis as far back as 1921, before Hilter’s attempted Beer Hall Putsch. “The deeds of the National Socialists truly correspond to the the spirit of the Antichrist,” (2) Hildebrand wrote in no uncertain terms in 1934, just a year after Hitler’s ascent to power. Hildebrand’s reaction to the Nazis has some elements of the Benedict option: he relocated to Austria, and became very involved in an attempt to set up a cultural bulwark against Nazism in Austria. He outlined the intellectual framework for this new Christ-centered civilization in his weekly anti-Nazi paper, Der Christliche Ständestaat. Hildebrand was committed to creating a civilization which could push back against the Nazis with a vision of their own. Faced with an existential threat to Christianity, and indeed to human life itself, Hildebrand refused to hide from the Nazis. He found a position where he could make his voice heard, and attacked the Nazis with all his intellectual energy. He was never truly safe in Vienna because he was still at the doorstep of Nazi Germany, in one of the countries most likely to house Nazi sympathisers. The Nazis themselves sentenced him to death in absentia for his writings. Secondly, Hildebrand did not withdraw from public life when faced with the Nazis threat. Rather, he found a place where he could be heard by many, where he thought his critique would be able to reach the most hearts. Hildebrand did not limit his engagement with Catholics, he was able to find common ground with his colleague in Munich Moritz Schlick, who was an atheist and positivist. The building of a true Christian and Catholic community did not exclude engagement with the secular world. Rather, it was an intrinsic part of Hildebrand’s mission. Hildebrand’s actions provide some guidance for those who may be considering some version of the Benedict Option. We cannot withdraw from the culture out of fear, simply rejecting the world. If we are Christians, we must witness, and that requires engagement. The Benedict Option cannot mean a complete disengagement with the world if it is to be a viable option. We must also appreciate that Hildebrand’s issues are not ours. As bad as our politics may be at times, our situation is not the same as the struggle in Nazi Germany, and will require a different tactic to engage. Our situation may require us to compromise with political enemies in a way that wasn’t morally acceptable for Hildebrand. We don’t, at the present time, have the concern that Hildebrand had when he chose to leave Germany. We can still speak. Something else we should remember is to not be overcome with a triumphalism that raises us up and ignores the rest of the world. Hildebrand’s project ended prematurely as Austria was swallowed by Germany in the Anschluss. Triumphalism of any sort tempts us to take worldly defeat as more than it is. The project of creating small communities to cultivate virtue risks the exaltation of ourselves at the expense of the outside world. This will not do. 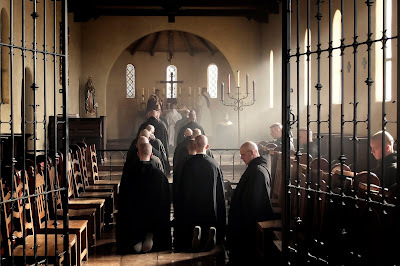 A Benedict Option which seeks to save the treasures of a virtuous culture only for ourselves and our ancestors is not, and should not be an option, if we are serious about saving the whole world. It must be an act of witness, never an act of escape. (1) Alasdair MacIntyre, After Virtue, p. 263. (2) Dietrich von Hildebrand, “Ceterum Censeo,” Der christliche Standestaat, October 14, 1934.